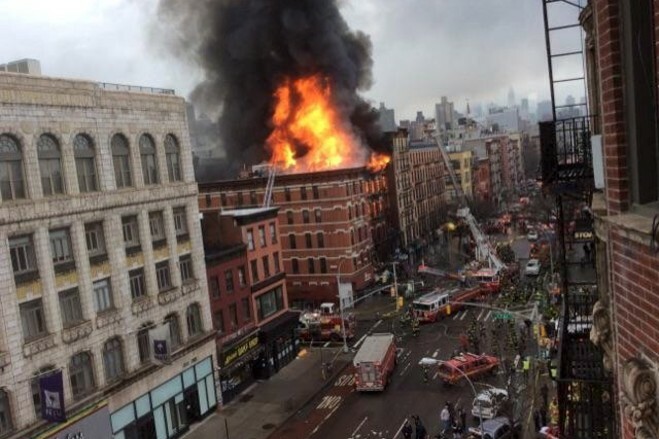 A recent gas explosion in Manhattan’s East Village destroyed an entire building, and, more unfortunately, caused the deaths of at least two individuals and injuries to other people who were unlucky to be in the building during the explosion. Of course, the human cost of such a tragedy cannot be measured. This blog post will attempt to explain some of the legal issues that relate to illegal actions on the part of a landlord or a tenant. Apparently the gas explosion may have been caused by the illegal siphoning of a gas line by the building’s landlord. If this is indeed the case, the landlord would be legally responsible for any injuries caused by the explosion, including the deaths of the individuals. Such legal responsibility be in both the civil and criminal categories. This means that the persons responsible for the illegal siphoning may face charges of criminal negligence, and be subject to arrest and jail time. In addition, any persons damaged by the explosion may file civil suits seeking money damages for their injuries. This may also include wrongful death actions brought by the legal heirs of those killed in the explosion. A wrongful death suit usually seeks damages in the amount of future earnings by those who may have been legally dependent on the person who died. It is usually brought by a surviving spouse or child of the decedent. Those found to be legally responsible for the death of the individuals in the explosion may have to pay compensation in the amount of estimated lifetime future earnings of the person who died as a result of their negligence. Tenants in the buildings affected by the explosion may also file civil lawsuits as a result of the loss of their residence. Again, those found to be legally responsible may have to pay monetary compensation to allow those tenants to obtain new residences and compensate the parties for other monetary losses. Further, a tenant across the street from the original explosion has been accused of illegally siphoning gas and has been served with eviction papers. They have denied the allegations, which state that they have “illegally and dangerously altered the piping and gas lines in the building.” While this blog cannot comment on the validity of these allegations, it is important for all tenants to comply with legal requirements. Otherwise, injury to persons or property may result or eviction may occur. Most leases contain clauses that require tenants not to commit illegal acts pertaining to the premises being rented. Of course, altering gas lines would fall within this category and will subject the tenant to eviction. Other illegal acts may also subject the tenant to eviction, if proven. Examples would be running an illegal business at the premises, such as a bookmaking or gambling operation, or a house of ill repute. If a landlord discovers that a commercial or residential tenant is conducting an illegal business at the property, he will engage the sources of a skilled attorney who will serve a termination notice on the tenant. The termination notice should specifically delineate the alleged illegal activity in question, and state a termination date in compliance with the lease in question. If the tenant does not vacate on or before the termination date, the landlord must then declare the lease terminated (again, in accordance with the terms of the lease), and, if the tenant still fails to vacate, the landlord must file a holdover petition in the appropriate landlord-tenant court. In Manhattan, this would be the Civil Court of the City of New York, Landlord-Tenant Part. The landlord-tenant court will then hear the case, and, depending on the outcome, may order the tenant evicted and issue a warrant of eviction. Our firm has extensive experience in disputes involving leases and evictions and welcomes all inquiries in these areas.